Way back when I was in B school the burning question in the Indian pharmaceutical industry was the expiring patents of the global pharmaceutical companies. The top among the list was Lipitor the cholesterol lowering drug that was fuelling most of Pfizer’s revenues. 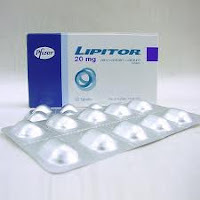 Lipitor was the first drug to exceed $10 billion a year in sales, and accounted for almost one-quarter of Pfizer’s revenue in the last decade. But all that has changed once Lipitor comes off the patent list on November 30th. This allows companies like Ranbaxy to launch the generic version of Lipitor with a 180 day exclusive window. The most notable among them is the tie up with Pharmacy benefit management (PBM) companies to pass on the discounts on to members of the pharmacy plans. The discounts are pretty significant and might lower the co- pay for members from $10 to $4. This might result in maintaining the current levels of subscription through the PBMs. The other angle that Pfizer will do is to lower the price of the drug itself. This will help it compete against the prices set by the generic manufacturers Watson Pharmaceuticals and Ranbaxy. Interestingly Watson has a licensing agreement with Pfizer under which Watson has to share profits from the sale of the generic version of Lipitor. Ranbaxy has its own challenges and are currently under an FDA investigation. The industry has been taking note of this issue. In September IBM came out with a life sciences study which indicated that the current challenges facing the global life sciences are here to stay unless the firms themselves change their model. The study also indicates that firms might need to start viewing themselves as healthcare solutions providers and focus on health rather than on disease. For more on the study please visit http://ibm.co/pxQcxD. While the Lipitor issue might settle down in a few years, larger issues remain in the global pharmaceutical industry. What are your views on the same? Can the current Pharma model sustain itself or will there be a seismic transformation. Please do let me know. The current pharma model rests heavily on the fignt between patented and generic drugs which links R&D costs directly to price causing consumers to pay high prices. In my opinion current business models do not incentivise innovation because they are too focused on marketing, litigation and defensive patents. India is trying to change it with its drug price control policy but with some flaws where it proposes ceiling prices only for end-use formulations based on weighted average of top 3 brands instead of bring linked to cost.Initiatives currently underway include the UNITAID Medicines Patent Pool Initiative, which aims to cut the costs of HIV/AIDS, malaria and tuberculosis drugsin EU.I thinkk companies could maufcature in India, export outside and give tough competition to MNCs. That is a great point and an excellent vision for the future. In your opinion what else could India do to become the pharmaceutical hub of the world. The challenge is how to persuade doctor to prescribe inexpensive generic drugs instead of branded drugs as the first choice drug.Government could oblige doctors to do so. technology can play a huge role in this. Maybe an application could be developed over smart phones or other mobiles where it could read a doctor’s prescription, identify the active ingredient and then list the cheaper alternative formulations ranking in order of price and ratings. But then again can government work in such a way that low SEC of people could afford mobiles?..but i guess it can still be worked out. I think that is brilliant idea, not sure if it will be long before this can be implemented. I think we should take it to at least a few app developers to see if it is feasible. Yes we could..but we need back up in terms of many aspects by IT organizations and government.